Twist off the tip of a lancet to expose the needle. Insert the lancet into the lancing device. After the assembly, place the opening on the desired area and press the button on the top to release the lancet to lance instantaneously. The length of the lancing device is 5 inches. Lancing has been a widely used popular traditional remedy. 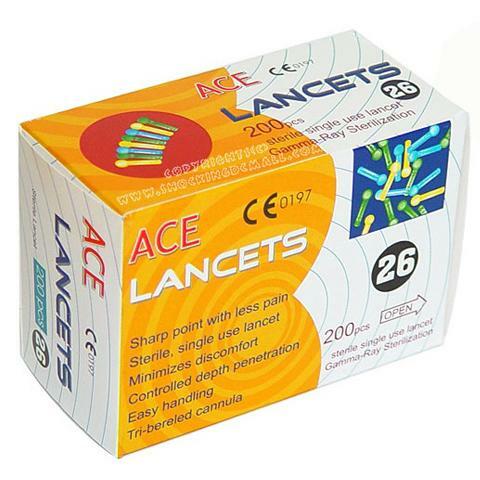 Lancet is a scientifically modernized product that made mechanical operational method of lancing possible. Radid lancing speed minimizes pain. 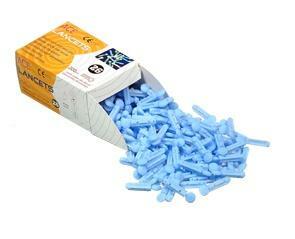 One-time use sterilized needle is used for clean and safe lancing. ideal for checking the glucose level in the blood. Generally a disposable lancet is used for lancing, however, there is always a possibility of blood stain on the lancing cap after each session of lancing. 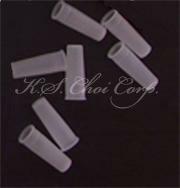 This disposable lancing cap is designed to eliminate the need to wipe the blood stain off the lancing device. * Greatly reduces the possibility of infection. * No need to screw in or twist. Just put it on, and it is ready to use.